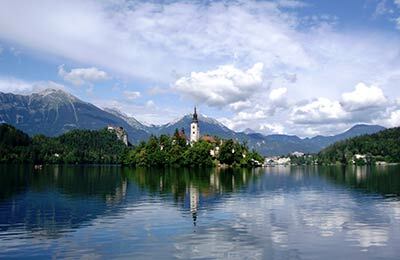 Book Ferries to Slovenia from Italy with AFerry.co.uk, simply and securely online. AFerry.co.uk has the largest online selection of cheap ferries to Slovenia, catering for every major route, with all leading ferry to Slovenia operators. Booking a ferry to or from Slovenia couldn't be easier with AFerry. You can either use the booking form at the top left of the page. 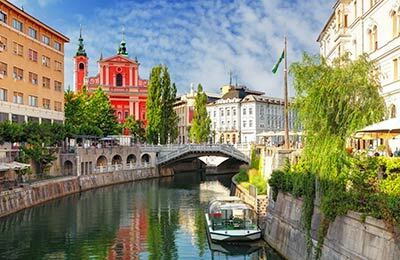 Slovenia has a beautiful natural landscape with the tall Alpine peaks overlooking glistening lakes and rivers. The climate is Mediterranean with mild to hot summers. Nearly 60% of the land in Slovenia is covered by forests. This is no accident, but the result of hard work and a conscious effort to improve the environment in the country. Over a million trees are planted every year, creating more and more beautiful forests that you have to see. Climb a bit higher in Slovenia, and you will find yourself in the Alps. The perfect venue for winter sports, but also home to trails for cycling or hiking. The mountains also offer the perfect opportunity to try adrenaline fuelled activities such as rafting, kayaking and even canyoning. Slovenia's culinary traditions are borrowed from the neighbouring countries of Italy and Hungary. Slovenians put their own mark on these foods with a taste for fresh, locally sources ingredients. Slovenia is becoming an increasingly popular tourist destination and is famous for its thermal waters, ski resorts and over 6,000 miles of marked hiking trails. Slovenia is one of the most diverse and beautiful countries in Europe, with its beautiful lakes, magical caves, stunning waterfalls and countless hills and mountains Slovenia has a lot to offer for your next holiday plan. Slovenia has many rivers that offer water sports and angling. Sources of several of rivers are sites of special natural interest with Soca River Valley being the first European Destination of Excellence - EDEN. Throughout the country you can admire the beauty of the Alpine rivers, the stunning landscape of the lowland rivers and karstic watercourses, which have shaped the mysterious karstic subterranean phenomena and numerous magical caverns. Eastern Slovenia is known for its thermal springs, around which numerous thermal spas have developed. The weather in Slovenia varies depending on the time of the year. There are also three climatic influences in the country. It is generally cold in mountains, the coast has a sub-Mediterranean climate, and the north-east lowlands have a continental climate. The average temperature is mild in July, and around 0°C in January. Slovenia offers sports activities all year around in winter there are ski slopes, in summer there are water sports and in autumn there are biking and hiking trails. Slovenia has a rich cultural heritage, and is proudly preserving it. You can get details of all historical forms of creativity at one of Slovenia's museums. All major periods of history are well preserved in Slovenia in the form of archaeological findings, with new ones being discovered all the time. A good number of castles have also been preserved and four of them are in top ten of Slovenia's most visited tourist attractions. Slovenia's architectural heritage can be seen in both town and country. With well-preserved medieval town centers, open air museums together with modern buildings will delight you. Most of the castles, manor houses and palaces can be explored from the inside. 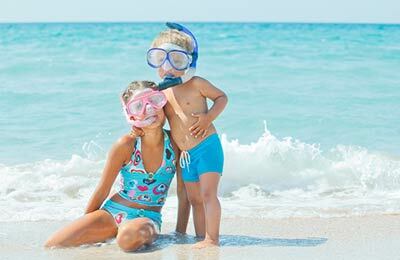 Slovenia has something to offer for everyone, book your next holiday with AFerry and enjoy the unspoilt natural beauty.